The Haseko Premium After-sales Services is a system in which Haseko, as a contractor of condominiums, directly listens to customers to grasp the conditions of their condominiums and provide adjustments and repairs so that customers can use them over a long period of time. Under the system, Haseko will significantly extend the period in which the Company provides after-sales services for both the exclusive and common areas of condominiums it sells, and work to enhance the sense of security and satisfaction of residents and improve added value by reinforcing its regular services. 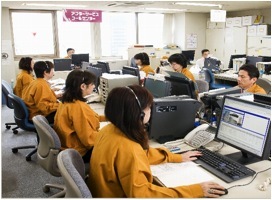 In order to realize quick responses, Haseko will set up call centers to directly receive after-sales service requests from residents. Through its proprietary Long-term After-sales Services, Haseko has extended the service period for exclusive areas from the conventional 2-5 years to 5-10 years, and for common areas from 10 years to 15 years. In conducting Enhancement of Periodical Services, Haseko has extended its periodical services, in which it repairs failures in exclusive areas that residents find through their self-inspections, from a maximum 2 years to up to 5 years, and has newly established a 5-year inspection service by Haseko in common areas where no such services had been available. Moreover, Haseko has prepared a “Maintenance Handbook for Housing,” which is a collection of the content of the services, certificates, self-maintenance guidance and other items, and distributed it to all units in its condominiums. Moreover, Haseko will distribute a “Tool Kit for Maintenance” that allows residents to conduct maintenance by themselves by referring to the self-maintenance guidance.